The Tria Laser 4X uses the same diode laser technology preferred by dermatologists. The Tria Laser 4X targets and permanently disables the hair follicle to stop hair growth on the face and body for permanent results. You can read my initial unboxing and more about the device HERE. At the 4 month mark I can say that I am more than pleased with my results using the TRIA 4x. I have seen a hair reduction in every single area treated. My under arms and bikini line were about 30 % less by the second treatment. Now all areas are approx 50-70% less just as they claimed. Darker, coarser hair responded best to the treatments while the finer lighter hair such as on the upper lip slows in growth and becomes less noticeable. The ideal candidate will be fair with dark coarse hair, lighter hair still slows and gets finer but I didn't see the complete disabling of follicles. I treated on maximum level 5. It hurts, but after the first two sessions the cooling gel wasn't necessary any more and I could barely feel it at all because the hair was finer or gone. I don't think you will see much if any results treating at level 1 or 2 so just go for it. After my first two sessions the hair reduction was the most impressive. As the months went on I felt like some of the hairs got lighter and that just made them less visible to the laser. While I haven't achieved completely hair free results all of the hair is finer, lighter, and less visible with patches where hair no longer grows at all. I think having zero body hair is against human nature so I am pleased with these results. 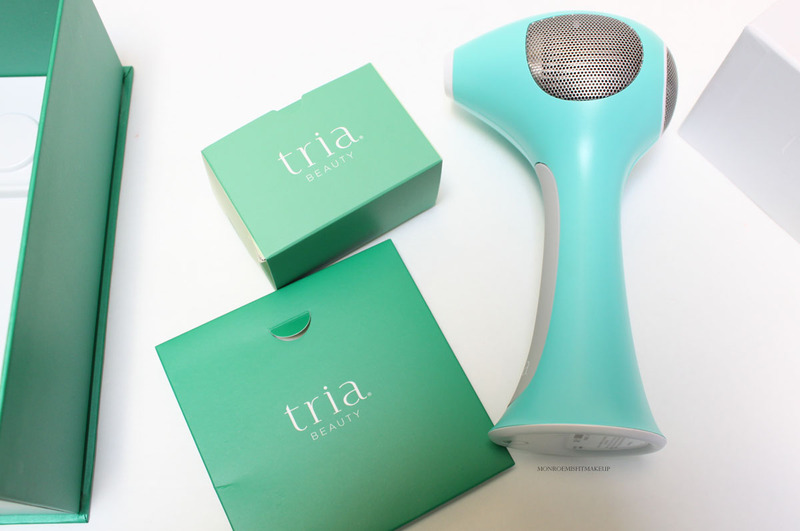 With sensitive skin shaving can often create irritation and ingrowns and that has all but been eliminated since using the Tria. I would continue using zapping away just for the positive skin effects! Because hair growth happens in cycles a full year is needed to see true results, I will be continuing on with the weekly/monthly treatments and reporting back at the 6 month mark. 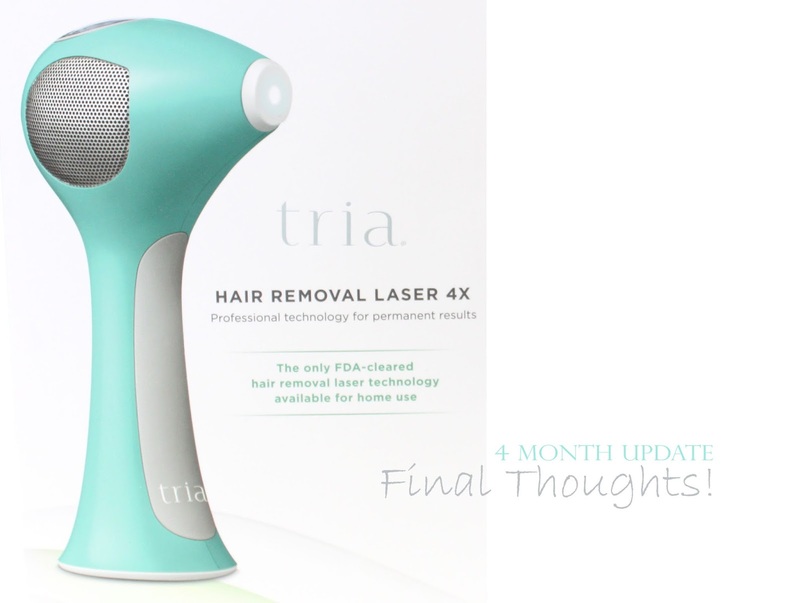 I have nothing but great things to say about the TRIA 4x Laser and hope to see even more progress with continued use. The TRIA 4X has proved itself to be a worthwhile investment that is fairly painless and I love being able to do it in the privacy of my own home. A beauty gadget that actually does what it says!